After months of searching, your dream home is finally all yours. But now that it’s empty and bare, it doesn’t feel as cozy and welcoming as you remember. Don’t worry — it doesn’t mean you chose the wrong home! You just need to make a few changes to make your new house feel like home. Here’s where to start. First things first, make sure no one else has access to your new home. Changing locks and garage door codes as soon as you move in prevents unauthorized access and gives you peace of mind. You should also check that fire and carbon monoxide detectors are working and fire extinguishers aren’t expired. If you’re unsure, follow InterNACHI’s advice and replace it just to be safe. While you hope you’ll never need your home’s safety features, you’ll be glad they’re there if you do. It’s easier to clean and address issues in empty home than a furnished one. If your new home doesn’t meet your standards of cleanliness or needs some minor maintenance, try tackling this before unpacking. In addition to the normal house cleaning tasks, replace HVAC filters and clean the range hood and kitchen sink disposal. These areas can trap odors and make your new home feel less than fresh. Also, take a look at your gutters and downspouts to see if they need to be cleared out, and check for water leaks under sinks and in cabinets to keep you from needlessly increasing your water bill. Your home may be filled to the brim with boxes, but you still deserve to be comfortable. Unpack bedrooms first so everyone can sleep in their own bed after a long day of moving. Basic kitchen supplies should come next; if you subsist on takeout for weeks, it will be hard to feel at home. You don’t need to unpack everything, but you should dig out enough cookware to prepare a simple homemade meal. Don’t underestimate the comfort that sitting down for a home-cooked dinner can bring to your family (and the familiar smells it will invite into your home!). Go ahead and program the thermostat now. If you wait and forget about it, your first utility bill could be a lot higher than you anticipated. Schedule your thermostat settings for maximum comfort when everyone’s home and energy savings when the house is empty. HouseLogic explains how to program a thermostat effectively. Unless your new home is has the same style and layout as your last home, your old decorations likely won’t suit the new space. From wall hangings to window treatments, you’ll need to purchase new décor that complements the character of your home. 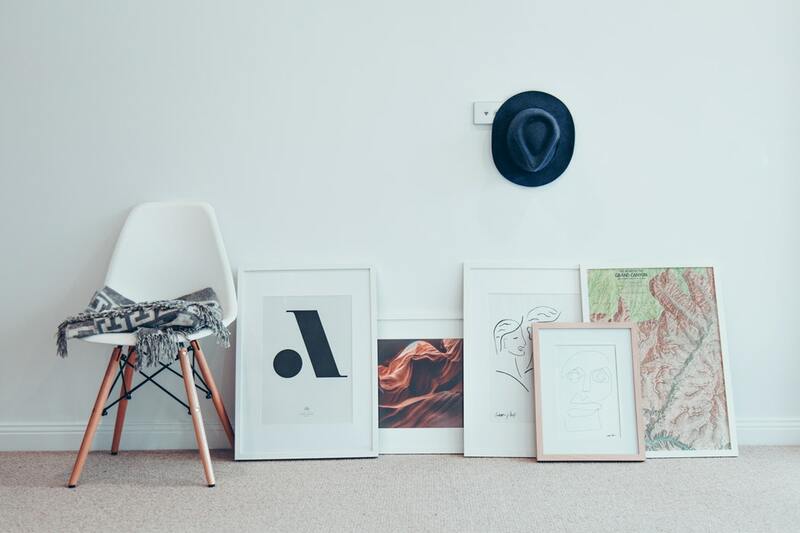 It’s hard to know exactly what that is when you’ve first moved in, so avoid splurging on high-end decorations that you’ll just end up replacing. Instead, pick up inexpensive artwork, throw pillows, curtains, and houseplants to brighten up the space. After a few months, you’ll have a better vision for your home’s interior design and ready to invest in new decorations. Moving to a new house is a big transition. But sometimes, the hardest part isn’t meeting your new neighbors or introducing the kids to a new teacher, it’s capturing the feeling of home. By making these changes promptly after you move in, you can achieve that warm, homey feeling in no time.